Felissimo’s brand of humorous items YOU+MORE! has teamed up with Felissimo Neko-bu™ and released a series of cat themed phone cases. 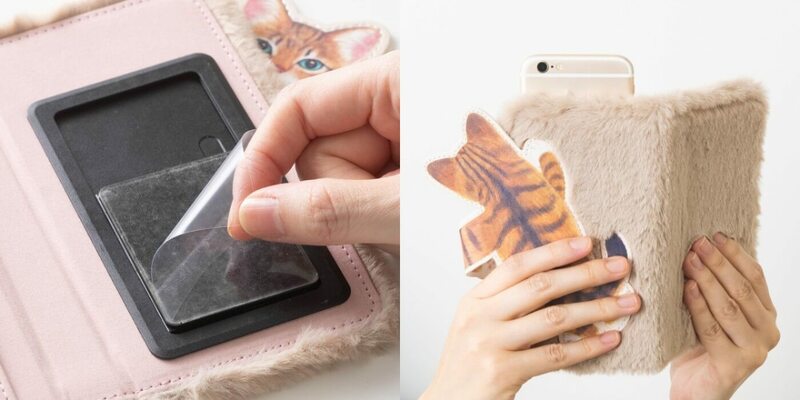 The cases feature three different designs of cats peeking around the back of your phone. The designs are inspired by real life kitties who bother their owners when they’re not getting attention. 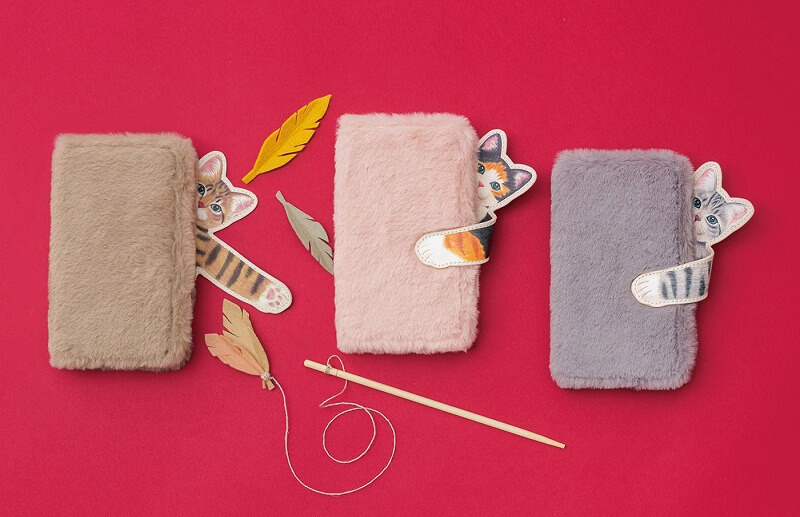 The cases lock with the cat’s paws which have a magnet on them and are also made of fake fluffy fur which feels nice to touch. The inside of the case also features a handy card holder and pocket. Your smartphone can be used by attaching it to the adhesive sheet inside which also slides up and down for when you want to snap photos. The three cat designs include Sabatora, Mike and Kijitora. Pick your favourite! *Compatible with smartphones measuring up to 14.5cm x 7.5cm x 1cm but may be limited depending on smartphone designs. *Depending on the shape and quality of the material of a smartphone the glue may not be able hold or the smartphone may be difficult to detach. *The magnets may have an influence on certain cards with magnets on them including certain credit cards. *Ensure you choose the right size when ordering your case.